When I think of autumn — and with the onset of summery weather you had better believe that I am! — I think of the world slowing down. When the air is still & so crisp you find yourself catching your breath. I think of baked apples and afternoon cups of tea. I think of the rich, subtlety of the colors changing day by day. I think of whispers and retreating to the warmth of indoors when the campfire no longer throws off enough heat. This beautiful braid of 100% merino called Autumn Retreat from Cloudlover Yarn & Fiber, which had languished in my stash for far too long, reminded me of all these things. Thankfully, the desire to have some heavier weight, simple 2-ply spins recently brought it out into the limelight. I’m so glad it did! It was a relatively quick and very enjoyable spin. 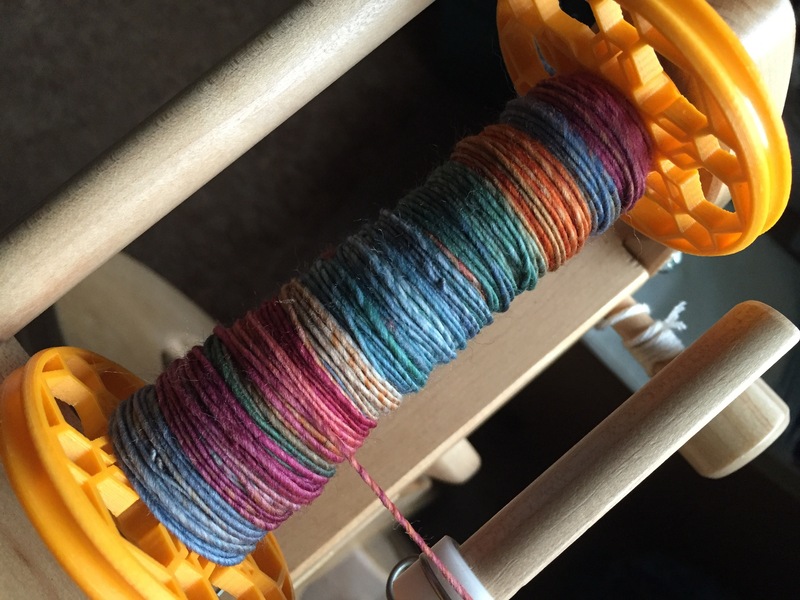 So much of what I’ve been spinning lately has been fiber with less bounce and more drape — which don’t get me wrong, is wonderful, too — but this was a welcome change. There is always something special about coming back to a nice merino wool. 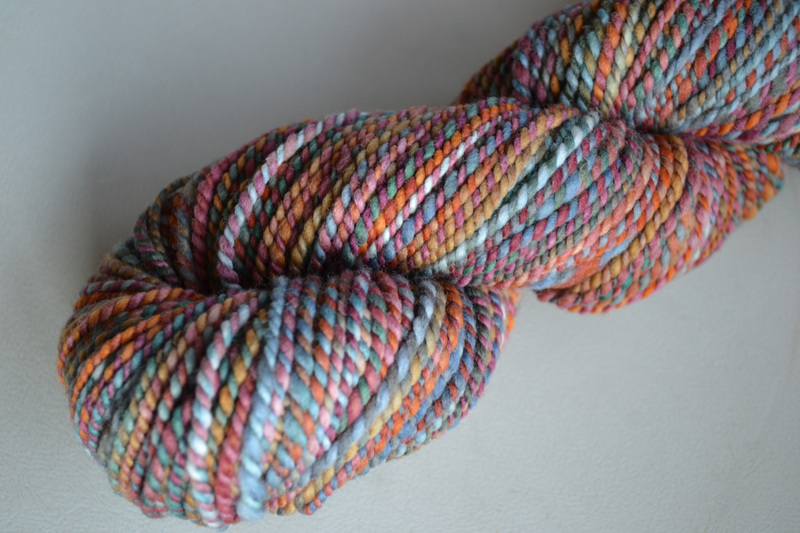 Totaling 145yards of 2-ply worsted weight yarn, this skein has so much potential and I’m very excited to share that it’s already on its way to some very capable, talented hands. 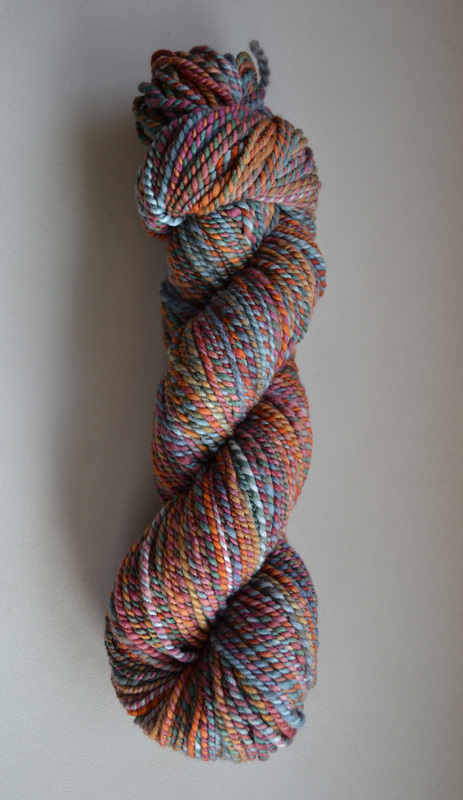 There’s something to be said for skeins like this. 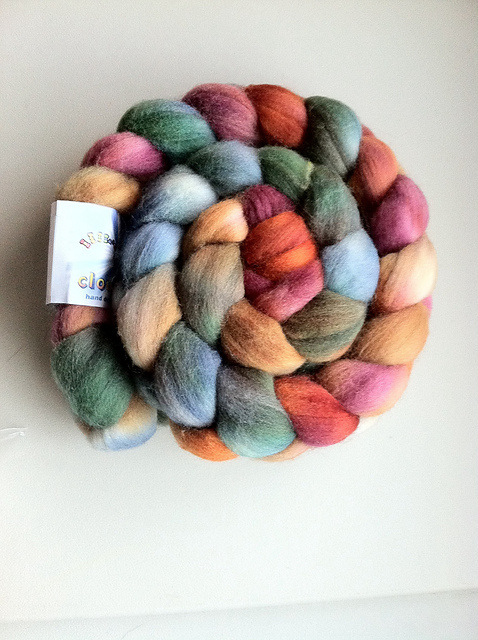 It’s not flashy, it’s not a load of yardage, but it is soft and sweet and truly divine. It is those whispers around the campfire, those sips of warm tea, the baked apples in the oven, the colors of the trees overhead. What a treat to be able to spin into life a skein of yarn that so perfectly embodies those moments in that most lovely time of year. 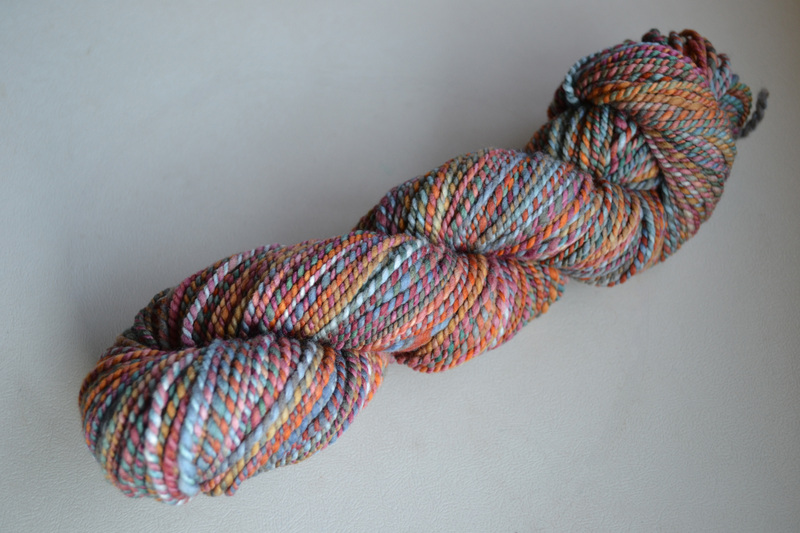 And what a beautiful skein it is!